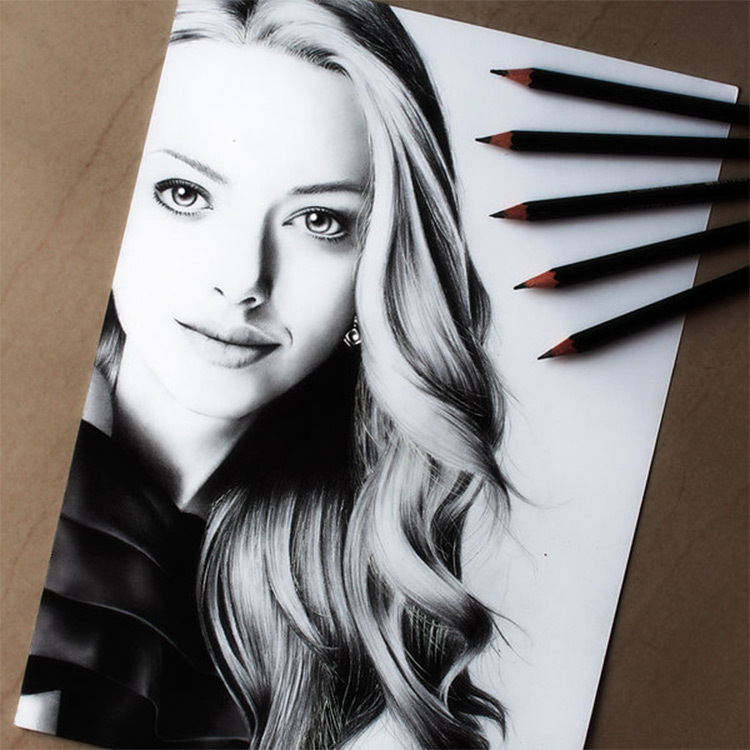 Graphite and charcoal are two of the most popular mediums for drawing. But how do they compare? Which is better for beginners? Which medium should you use for your next project? Charcoal and graphite both look like pencils yet they are totally different mediums which means they have different strengths and weaknesses. It’s also hard to tell which features are useful because it depends on the piece of art you’re trying to make. Let’s take a closer look to determine which medium is right for you and your art. Graphite is a form of carbon and is the main component of the core, or “lead”, in modern pencils, along with a binder like clay. Fun fact: Even though we often call the pencil core “lead”, real lead was never used as a writing material. 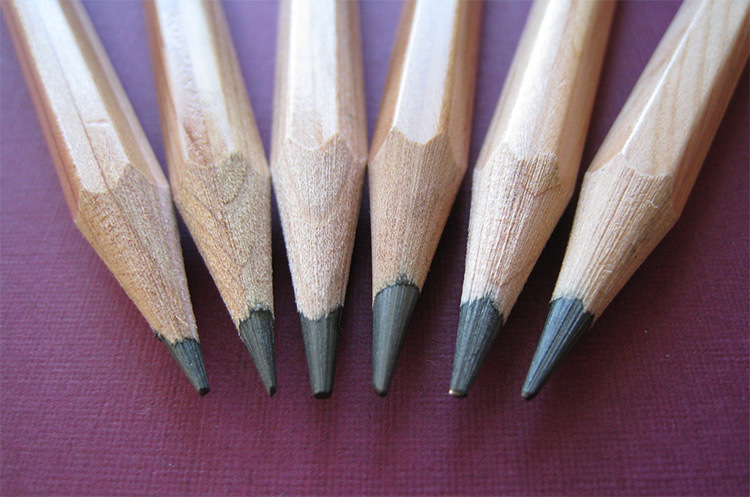 The pencil core is actually called the “lead” because for a long time, graphite was thought to be a type of lead. However the paint coating pencils before the mid-20th century was lead-based. That’s no longer the case because, you know, lead poisoning. The more binder in the graphite-to-binder mixture, the harder the pencil led will be, the thinner lines it will draw, and the lighter values it will be able to achieve. Pencils with less binder and more graphite will be a lot softer, easier to blend, will draw thicker lines, and will allow you to achieve much darker values. Most graphite pencil kits range from 2H or HB to 6B. For reference, the yellow No. 2 pencils you’ll remember from school were equivalent to an HB. You definitely don’t need the entire range, so HB-6B is usually plenty for most artists. That will give you a wide range of values without weighing down your pencil box. Some artists prefer to work with just two or three pencils in a single piece. Graphite tends to work better on smooth paper and is more suited for smaller drawings or quick sketches. Because you’re working with a tool that has a very small mark-making surface, it’s hard to cover a lot of area smoothly. You can get woodless graphite pencils, which are awesome, but you’re still confined to a fairly small mark making surface. So try to work on paper that is 9×12 or smaller. Anything larger than that will just get frustrating and discouraging, and you will have a really hard time getting the texture just right. One downside to graphite is that it can get a weird shine, especially if you’re pressing really hard for darker values, and especially if you’re marking a very large area while drawing over the graphite multiple times. This can make pencil drawings harder to photograph and a lot of people just don’t like the appearance. You can minimize glare in the darker areas by layering your darkest pencil instead of just pressing harder, but that can take longer. 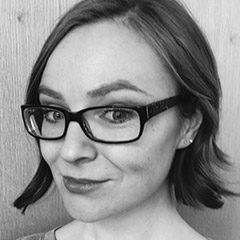 Like graphite, charcoal is a form of carbon. Charcoal, however, is made from burning wood until the resulting substance is the correct consistency for drawing. Charcoal comes in soft, medium, or hard consistencies. Similarly to graphite, the hardest charcoal will give you the lightest values while the darkest charcoal will give you the darkest values. Also charcoal comes in both sticks and pencils and made of powdered charcoal that’s mixed with clay or resin, then pressed into a stick or pencil core. This medium tends to be darker than even the darkest graphite, so you can get a wide range of values from the whitest white of the paper to extremely dark areas. The grading range for charcoal is smaller than that of graphite and ranges from HB to 6B. One neat feature with charcoal is that you can turn the sticks around to get many different styles and line widths, so the pencils are totally optional and many artists prefer sticks. Softer charcoal is easier to work with because it spreads and blends easily, giving you nice, smooth coverage much like oil paint. Softer charcoal also erases more easily which makes it more forgiving and suitable for beginners. The highest quality charcoal is soft vine or willow charcoal, which isn’t compressed at all, but is literally just burnt twigs with no binder at all. Charcoal works better on more textured paper for sure. Since you can lay a stick on its side to cover a large area at once, charcoal is great for larger drawings too. Easy to create highlights and lighten a value by using a kneaded eraser to lift some of the charcoal. However, charcoal is very messy and hard to work with on the go. It can get all over your hands and clothes, and if you don’t happen to have a fixative with you, you’re going to end up with a ruined smudged drawing. It’s also hard to get super fine details because the mark-making surface is relatively large for a drawing tool. Again, think of this medium more like painting than drawing. Lastly, charcoal is very smudgy. This usually doesn’t look terrible on a charcoal drawing but it’s very easy to get fingerprints all over your piece if you aren’t careful. As you can see pretty quickly, charcoal and graphite are very different mediums. While you can learn and master both, most artists pick a favorite once they’ve gotten some experience with each of them. Obviously we can’t say which material is better because we’re comparing apples and oranges here. Hammers and wrenches. It depends on what you want to do with them. If you aren’t sure which would work best for you try them both and see! We also have a guide on the best art pencils that may help you find the right brands to get you excited to draw.